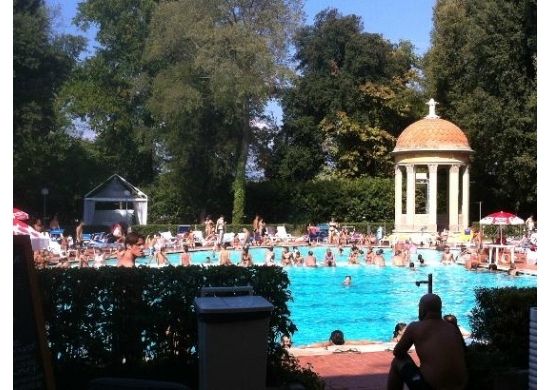 If you're looking for a pool in Florence don't worry: the place for you is the Pavoniere (in English this means "the place where peacocks live"). 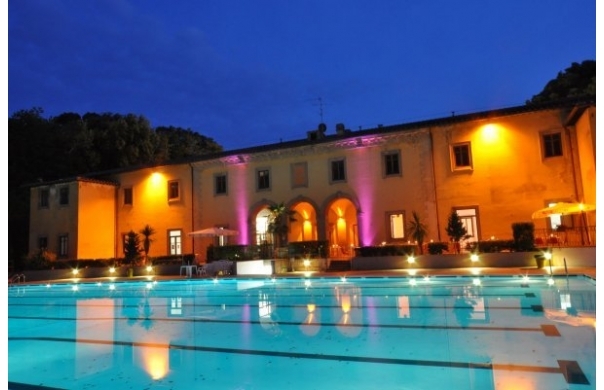 In the middle of the Cascine Park (Parco delle Cascine), invaded daily by runners and yoga practitioners, one finds the historic Villa le Pavoniere. Recently restructured, the villa was built at the end of the 1700s by Pietro Leopoldo di Lorena - Grand Duke of Tuscany, man of the enlightenment and liberal - he was the first ruler to abolish the death penalty after reading the thoughts contained in the book "On Crimes and Punishments" by the celebrated philosopher and criminologist Cesare Beccaria. Inside the area of the Villa, the Grand Duke constructed two small neoclassical temples where peacocks where kept. The two temples, still visible today alongside the pool, gave name to the pool of the Pavoniere. My recommendation would be to go to the pool in the evening. Not necessarily because the daytime is less beautiful, but because the day should be used for going to museums - and what's better after a long day of walking around the center of Florence than a fresh and welcoming place like this pool? What more could you ask for (except maybe to eat right at the pool) than to have a restaurant right there just a few steps away from the cool waters of the pool? If the typical Florentine cocktail hasn't sated your hunger, then the restaurant Magnificienza is just what you're looking for. While promising to satisfy your every sense while waiting for the evening events (Monday and Thursday host pool parties with DJ sets), the Magnificienza restaurant allows you to dine inside the structure of the Pavoniere. 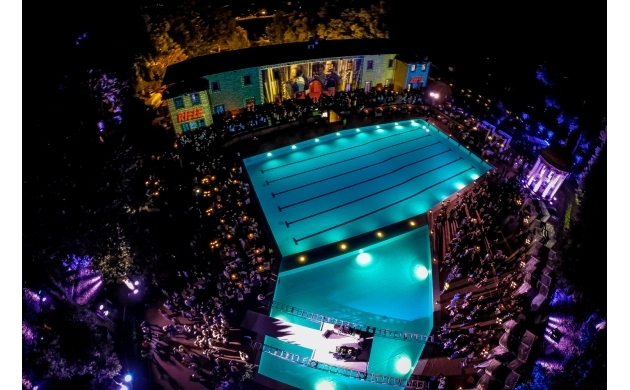 In Florence there isn't a lack of pools, but only this one stays open into the evening (as well as being in such an exclusive location as this). 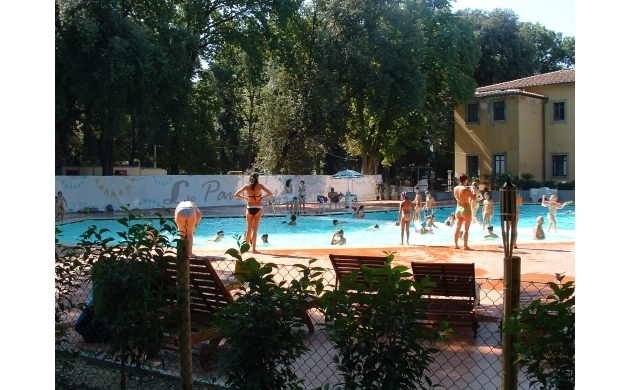 So if you're looking for the best pool in Florence, don't have any doubts: the best pool is called Le Pavoniere. Le Pavoniere, via della Catena 2, Parco delle Cascine, Florence, Tel. 055.362233; for dinner reservations: 333/1297725. How to reach Le Pavoniere: just a few minutes on foot from the center of Florence; or you can take the Tramvia from Santa Maria Novella to the second stop; also ATAF bus 17C. Every day from 10am to 7pm and from 8pm to midnight. Monday and Thursday Pool Party with DJ set.